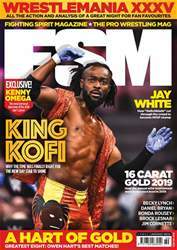 This month also features the results of the FSM Reader Awards 2013, with categories for both international and UK pro wrestling and MMA. Our cover shows that CM Punk took one award – but which one? All of this, plus our usual news, PPV and TV reports, and DVD and book reviews. Also, in this month's column, Jim Cornette explains how much the battle royal means a lot to him, as it was the attraction at his first live wrestling show as a fan. 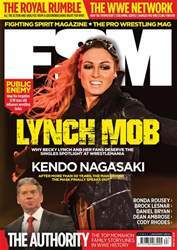 Also, in a departure from his column, FSM grills Nick “Magnus” Aldis about his newly-won TNA title, the red-tape he fought to achieve it, and whether he plans to remain in TNA for the foreseeable future. “Diamond” Dallas Page is also on hand to explain what DDPYoga can do for both pro wrestlers, and those looking to improve their health and well-being.